Dr. Ali Reza Amir-Moez, a mathematician, educator, author, actor, artist, dancer, world traveler, and true humanitarian, departed this earthly life Saturday, August 25, 2007, at his home in Lubbock. Ali entered this world in Teheran, Persia, April 7, 1919. He was the youngest son of Mohammad and Fatema (Gorgestani) Amir-Moez. Dr. Amir-Moez was nurtured in the Moslem faith, but considered himself as a Universal Theist believing that, "if a person is seeking God they will find God because God will see to it that they do." He was a man of great faith and great love of all man kind. During World War II, 1936 - 1938, he served in the Persian Army, as a 2nd Lieutenant, and was decorated Honor Emblem Persian Royal Court. He earned his BA at the University of Teheran in 1942, and served as a Math Instructor at Teheran Technical College from 1942 - 46. Following his immigration to the United States in 1947, his first love was drama and the performing arts, however, he was forced to study math to receive an extension on his visa, and thus he continued his education earning his MA in 1951, and PhD in 1955, both from UCLA, Las Angeles, Calif. He served as a Professor of Math at the University of Idaho; Queens College, New York City; Purdue University; University of Florida, Gainesville; Clarkson College, Potsdam, New York; and Texas Tech University, Lubbock. Dr. Amir-Moez was dedicated to mathematics research and established scholarships at both Texas Tech University and the University of California at Los Angeles. In 1975, he was awarded the medal of Pro Mundi Beneficio, Academia Brasileira De Ciencias Humanas. He became Professor Emeritus at Texas Tech University in 1988. Prior to suffering a stroke in 2004, Dr. Amir-Moez was an active member of the American Mathematical Society; Mathematical Association of America; Sigma Xi; Pi Mu Epsilon; Kappa Mu Epsilon; Texas Academy of Science; and New York Academy of Science. He was the author of books including, Elements of Linear Space; Extreme Properties of Linear Transformations and Geometry in a Unitary Space; Classes Residues et Figure ance Ficelli; and plays including Kaleeleh and Demneh and Three Persian Tales. His writings included over 150 papers, articles, and books, and he was often featured in Highlights for Children. Dr. Amir-Moez was fluent in four languages, Persian, French, English, and Spanish, and had books published in all four languages as well as translated into many more. Ali became a naturalized American citizen in 1961 (his favorite holiday was Thanksgiving because he was so thankful for America) and a citizen of Lubbock upon his arrival at Texas Tech in 1965. He was a devoted citizen and believed there were no real excuses for not voting. Although he had traveled the world, he preferred to call Lubbock his home town. As a citizen of Lubbock, Ali, was very supportive of the Children's Home of Lubbock and before his health prevented, he spent time assisting with annual fund raising events by sketching pictures of children for donations. 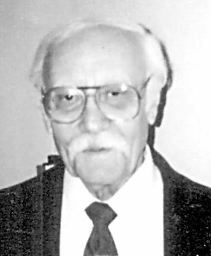 He was a member of the Lubbock Gem and Mineral Society and immensely enjoyed attending and participating in Gem and Mineral shows. In 1992, Dr. Amir-Moez and Deborah Ashmore, became close friends and following a lengthy friendship, they were married Dec. 23, 2005. Left to morn his loss, include his wife, Deborah; stepson and daughter in law, Jim-Bob and Amy Ashmore; and two step grandchildren, James and Justice Ashmore; a sister, Dr. Forouzandeh Brelian Jahan Shahi of Nice, France; six nieces, Manda Jahan of Spokane, Wash., Manijeh Pejan of W. Van Couver, BC, Canada, Dr. Mina J. Bissell of Burkeley, Calif., Farrdeh Mokrinejad of Teheran, Iran, Shahrzad Amir-Moez of San Francisco, Calif., and Yasmin Amir-Moez of Santa Fe, N.M.; multiple great nieces and nephews; the many students he mentored through out the years; and his numerous close friends. Per the request of Ali, there will be no visitation or memorial service. Memorial tributes may be made to the Math Department at Texas Tech University for the Amir-Moez Award; Math Department UCLA for the Horn Moez Scholarship; or The Children's Home of Lubbock.